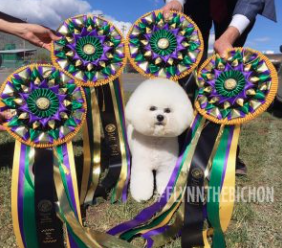 Lorrie Carlton, breeder of Flynn, GCH Belle Creek’s All I Care About Is Love, came to her Bichon Frise breeding program with a background in sporting, hound and working breeds. Her firmly ingrained focus on structure and movement has continued through more than 40 years. Carlton’s family raised Weimaraners and owned a boarding kennel and grooming shop. She grew up with bird dogs and showed her first dog at 11 years old. The family moved in to handling show dogs and added Old English Sheepdogs to their pack. Carlton worked in the kennel and groom shop after school and learned grooming by watching starting at 14. Following in her dad’s footsteps, Carlton became a licensed professional handler. Her favorite win? Group 1 with the Borzoi at Westminster Kennel Club in 1993 under Robert Forsyth. She retired the following year to assist her new husband, Larry Letsche, at his veterinary clinic in Michigan. 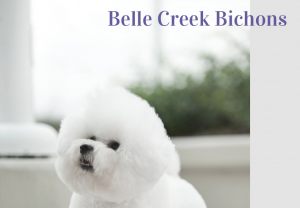 In 1976, just three years after the breed was recognized by AKC, Carlton piloted a Bichon named Sam to Best in Show in place of her father, who had been hurt. Sam made her fall in love with the breed. 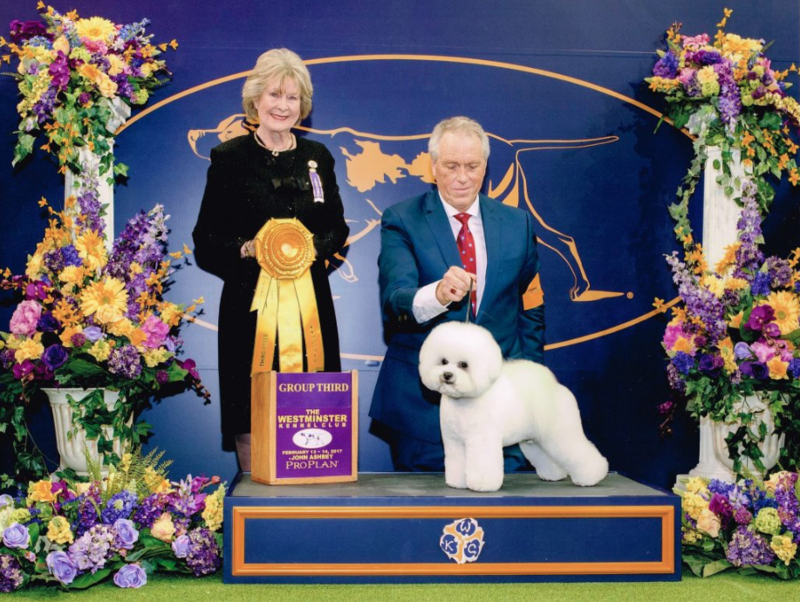 Just five years later, she won the national with her first Bichon of her own. Rebuilding her program after a devastating bout with juvenile cataracts in her line, Carlton continued to focus on structure, temperament and health. Carlton shares her stories about dogs that make a good “nick” with her lines and the “flukes” she won’t use in a breeding program. Her horror stories of breeding the “best to the best” and her preference to breed to the sire of a dog she likes. Carlton’s puppies are born in her kitchen, go to work at the vet clinic with Lorrie and Larry. She said they watch the puppies grow, making their selections around 10 weeks. She’s looking for that great puppy that has attitude, a certain look, a pretty face, pretty body. Carlton says she wants watch how the puppies react as they go through training, that she wants them to go through the uglies. “I don’t want them to stay beautiful all the way through (growing up),” she added. Love Bichon's and want to learn more? Lorrie wants to encourage newcomers and offers mentoring to anyone who is interested. Watching Flynn and professional handler Bill McFadden this year has been a treat for Carlton, who normally specials her own dogs. 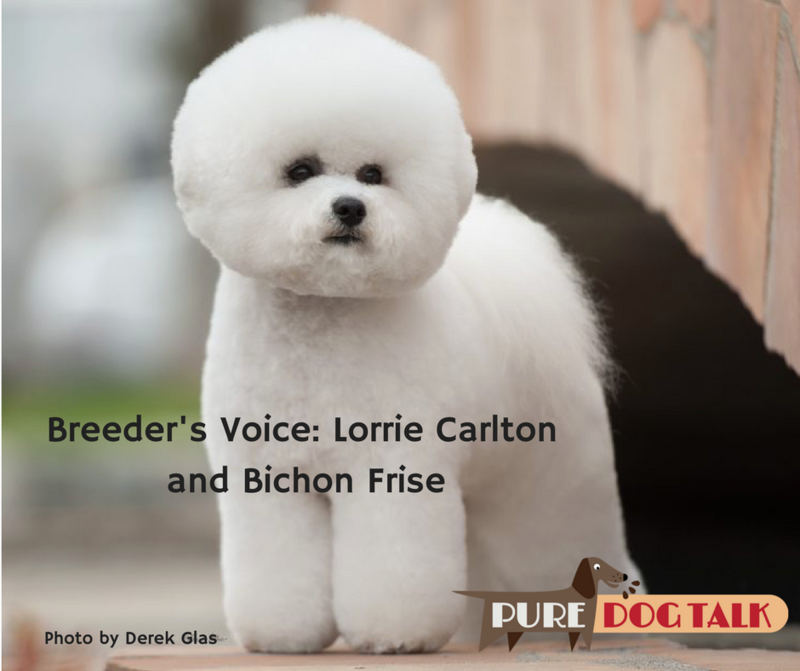 Listen to Lorrie Carlton share her thoughts with Pure Dog Talk host Laura Reeves on Pure Dog Talk. What dog food do you recommend for adult bischons?